Single motor wireless follow focus system, includes power cables for Dtap and 2pin LEMO. Run stop cable for RED Epic, Scarlet and Weapon included. Also includes some basic mounting accessories. Zero latency uncompressed wireless video transmitter. 300 foot range. Includes SDI Transmitter and two receivers; one SDI and one HDMI. Both receivers can be used at once. Also includes mounting accessories and cables for video io and power via AC, Dtap, or 2pin LEMO. Ofocus bridge with two CFF-1 handles, includes handle extension tube, speed crank, and five different focus gears. 15mm lightweight rod block only. The most durable matte box on the market, the Oconnor Obox offers everything you need in a super compact, lightweight package, top and side flags, two 5.56" or 4 by 4 filter trays (the rear tray rotatable by 180deg), 138mm round filter tray, and unparalleled durability. Also includes two Oconnor Ogrips (Handles) which can be mounted to the sides of the matte box. 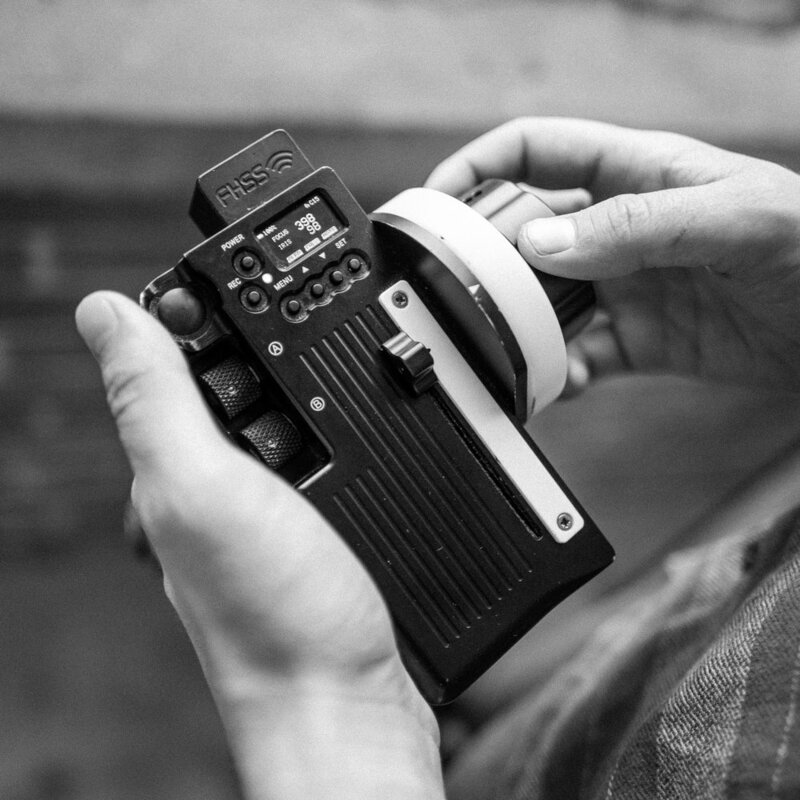 The Misfit is a matte box specifically designed for use with gimbal and steadicam builds. Weighing less than a standard filter, the Misfit can take up to two filters and can be mounted with the 15mm rod block or via clamp on. An included accessory allows the filters to be tilted to help avoid unwanted glare or flares. 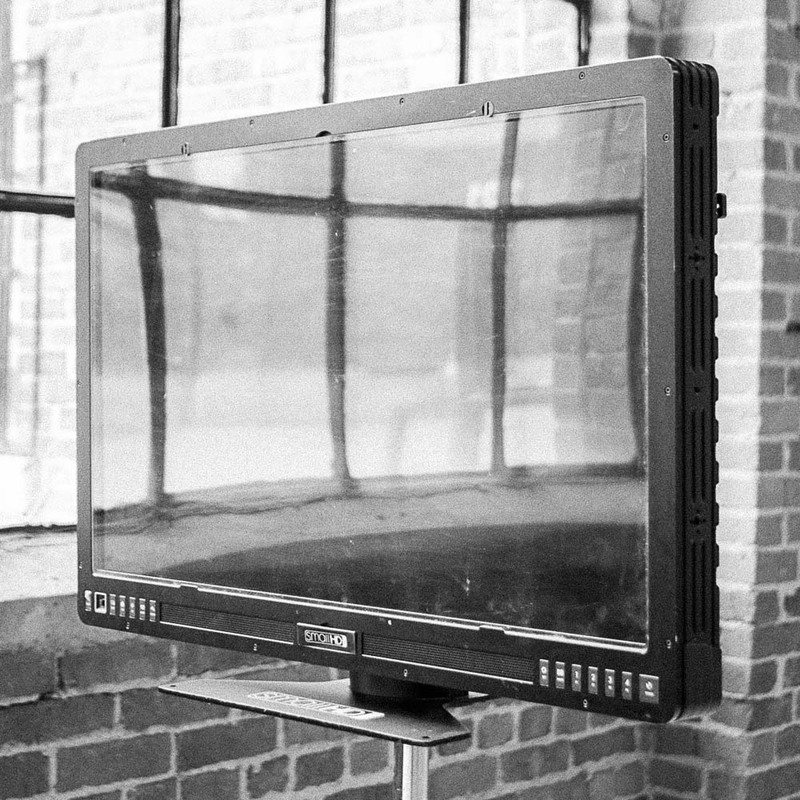 Super rugged daylight viewable 32” production monitor. (2) HD-SDI and (1) HDMI loop-though inputs. 2pin LEMO 12V and USB power out. Picture overlay, scopes, multicam monitoring, built in LUT support. 750 Spigot or desktop mount.